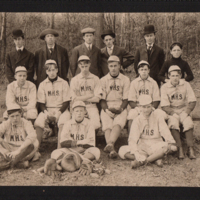 This was the first uniformed team in the history of the High School. Front Row: Ralph Lawton,cf; Oscar Sawyer,c; James V. Sweeney,p. Center Row: Carl Persons,3b; Scott Kingsbury Perry,lf; Frank May,ss & captain; Harold Dufor,1b; Louis Sullivan,rf; Clarence Mackin,2b. Donated by The Sweeney Family. 4.5 x 6.5 in., 3 prints; 1 copy, 8 x 10 in. Geo. 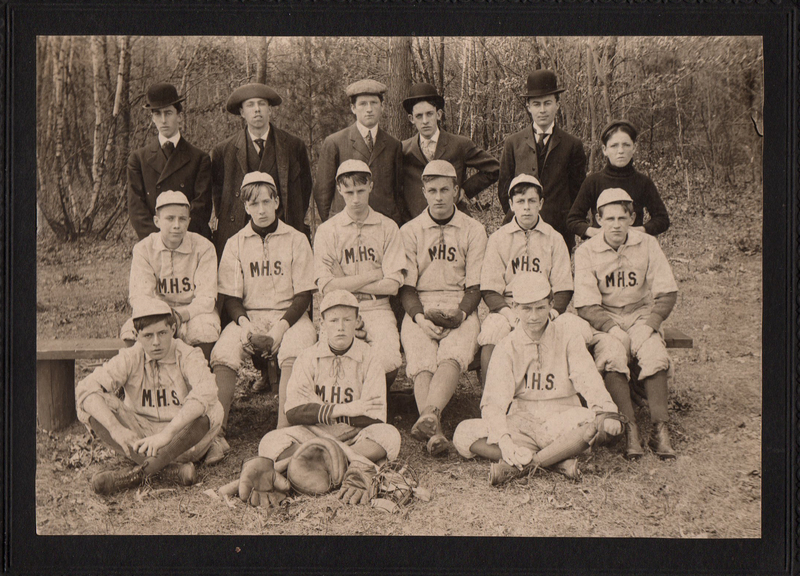 D. Elson Maynard, Mass., “Maynard High School Baseball Team - 1906,” Maynard Historical Society Archives, accessed April 24, 2019, http://collection.maynardhistory.org/items/show/218.